Delivering food is a challenge. Don't be so quick to believe Amazon (AMZN - Get Report) will kill everyone off in the grocery business. Amazon.com Inc.'s $13.7 billion agreement to acquire Whole Foods Market Inc. (WFM sent shockwaves across traditional bricks-and-mortar retailers, but analysts at Cushman & Wakefield believe the industry-wide "doom and gloom" scenarios are overstated due to one key challenge. "Although they aren't doing it and the tone in media coverage has been one of gloom, I think some [grocery story] landlords should be breathing a huge sigh of relief right now," Cushman & Wakefield retail research vice president Garrick Brown said in a report. "I am not sure that many who are expecting eGroceries to eventually wreak the same level of havoc in the bricks-and-mortar grocery space as eCommerce has in other retail categories fully understand the importance of final mile delivery costs in the grocery space." Grocery operators are already under pressure from food deflation, and margins are "razor thin," Brown noted. Potentially onerous final mile costs make online grocery sales almost an exclusively urban phenomenon, Brown says. "To succeed, operators must be able to deliver from sites that are close to the consumer," he said. 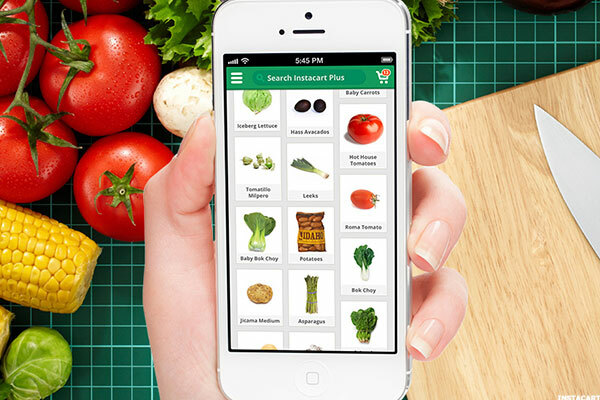 "And delivering online orders of perishables, especially fruits and vegetables, is unbelievably difficult. Doing it successfully is what I call the Holy Grail of fulfillment." There is one wildcard here, however. Last year, Whole Foods bought an equity stake in its longtime delivery partner Instacart and signed a five-year delivery partnership. Instacart has worked with other grocers, including Costco (COST - Get Report) and Safeway (SWY (owned by Albertsons Cos. Inc.). The Instacart stake represents an opportunity for Amazon to learn from and leverage technologies and processes for last mile delivery, points out Brown's colleague Conwell. Amazon's shares rose 0.2% to $1,005.46 on Monday morning.